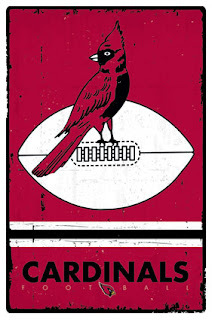 2015 could have very well been the Cardinals year (as predicted by Madden 2016) except for the juggernaut that was the Panthers. A loss in the NFC Championship game and yet another injury to 36 year old Carson Palmer put an end to hopes of another Super Bowl for this veteran squad. But hope springs anew in the desert this season as a 2 year window for Palmer/Fitzgerald and company makes the time to strike now. In 2015 a number of “wily” veterans stepped back into their old form for the Cardinals, like RB Chris Johnson, WR Larry Fitzgerald and QB Carson Palmer. Along with some new found talent in the youth of this team, the Cardinals will need another solid year from these veterans and others to finally get over the hump and being playing in Houston on Feb 5th. Perhaps no one player holds the Cardinals fate like veteran QB Carson Palmer. Each of the past 2 seasons has ended battling injuries as his Cardinals fall in the playoffs. Keeping him upright and productive is vital. Behind Palmer stands 32 year old Drew Stanton, a very capable backup who himself has battled injuries in his brief stints. The 3rd QB spot will be a battle between former USC Trojan Matt Barkley and UDFA Jake Coker from Alabama. I expect Coker to win that spot and show some flashes in the preseason. Running back was a bit of a question mark coming into 2015 after missing out on draft target Ameer Abdullah in the draft and settling for David Johnson out of Northern Iowa. But Johnson paired with veteran Chris Johnson to form a powerful RB tandem and finish with a top 10 rushing attack. Chris Johnson was lost late in the season to a leg injury and the young rookie stepped in to start. Now the Johnsons are joined by returning veteran Andre Ellington and should provide nice balance to the Cardinals attack. At wideout, the Cards boast some incredible depth with Michael Floyd and speedster John Brown on the outside and old man Larry Fitzgerald now fully integrated as a slot receiver. Fitzgerald represents a trend that many teams (Jets, Bears, Steelers) are using with bigger WRs manning the slot versus generally shorter nickel backs. Throw in return specialist and also speedy JJ Nelson and the Cards have a good stockpile of weapons for Palmer. The only real need for Arizona here is for Michael Floyd to become more consistent and become a true #1 threat. At TE, Darren Fells and Jermaine Gresham offer a nice balance of run blocking and pass catching ability and are backed up by former Notre Damer Troy Niklas, who is still trying to overcome injuries. The O-line was much improved in 2015 and hopes to get even better this season. Jared Veldheer at LT has been rock-solid, but RT now belongs to former first round pick DJ Humphries. If Humphries can regain his form out of college recovering from injury, the Cards have very nice bookends. Inside, stalwart Mike Iupati is locked in at LG and newly acquired free agent Even Mathis is at RG. The center position will be a battle after the departure of Lyle Sendelein between journeyman AQ Shipley and 4th rounder Evan Boehm out of Mizzou. Expect Boehm to get the nod eventually as being surrounded by solid veterans will make the rookie’s transition easier. Overall, the Cardinals should have no problem moving the ball down the field in 2016. However, they must learn to be more consistent in the red zone and must keep their veteran QB healthy for 16 games and beyond. If they can do that, there is no reason this offense isn’t playing for a Super Bowl. 2015 saw the Cardinals pair their #1 ranked offense with the #5 ranked defense. Despite not having a dominate pass rusher (leading sack man was 36 year old Dwight Freeney with 8.0) the Cardinals schemed their way using exotic blitzes and their amazing secondary. In 2016, they now have added an edge rusher they hope can finally be a force in the pass rush and continue to upgrade other parts through the draft. The question remains if their playmakers can stay healthy and if this can finally be a championship squad. On the defensive line, long-time veteran DE Cory Redding has been replaced by rookie Robert Nkemdiche. Assuming they can keep him away from suspension (and open windows) this should be a positive upgrade for the pass rush. Returning starters DE Calais Campbell and NT Corey Peters (recovering from Achilles surgery) are solid versus the run and the depth is also solid. The D-line is ready to hold up its end of the bargain in 2016. The Cards made a bold move this offseason, trading disappointing 1st round pick G Jonathan Cooper and a 2nd round pick to New England for pass rusher Chandler Jones. This could finally be the dominating presence this defense has lacked over the past few years as Jones is in a contract year. Opposite him is former Mizzou Tiger Markus Golden who came on at the end of 2015 with 3 of his 4 sacks in the final 6 games. Alex Okafor and Shaq Riddick should also see some time in rotation. Inside, the Cardinals have gone with speed over size, pairing LB Kevin Minter with converted safety Deone Bucannon as starters. If the D-line can keep these two clean to roam both versus the run and the pass it is perhaps the quickest 3-4 ILB group in the league. Veteran Donald Butler was signed for depth and toughness. The secondary is loaded with star power, headlined by star CB Patrick Peterson. Opposite Peterson is a battle between incumbent Justin Bethel, FA Mike Jenkins, rookie 3rd round pick Brandon Williams out of Texas A&M and the recovering Honey Badger Tyrann Mathieu. The real key to the Cardinals success in 2015 was Mathieu, who lines up all over the defense from safety to nickel. His return to health is vital. In addition to Mathieu at safety, the Cardinals signed Chiefs FA Tyvon Branch to add to run stuffer DJ Swearinger and incumbent starterTony Jefferson. This mix-and-match element to the secondary drives opposing QBs crazy and is the real key to the Cardinals stop unit. Overall, the Cardinals need rookies Nkemdiche and Williams to contribute immediately and need star DB Tyrann Mathieu to come back healthy from his 2nd ACL tear. If those 2 things happen, this unit is ready to make a run at the championship. If the injury bug will stay out of the desert, the Cardinals should be the #1 seed in the NFC and the favorite to go to Super Bowl LI. Perhaps the trainers should be the first to hoist the Lombardi trophy if they win it this year, with the recoveries of Palmer, Mathieu, CJ2K, Peters and many others needed for a Super Bowl run. If that happens or they can find the depth to fill in, Arizona should be playing well into 2017. 2015 turned out to be a transitional year for the Seahawks, turning from a run-first offense to a team keyed by Russell Wilson’s play-making ability. Losing Marshawn Lynch and Jimmy Graham, a shuffling O-line and attrition on defense did not allow the team to repeat as Super Bowl participants for the 3rd time. 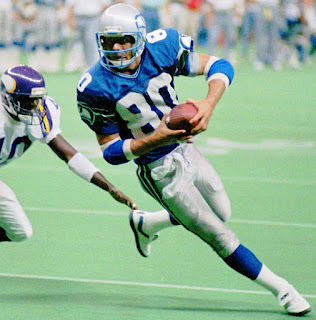 But a return trip to the playoffs at 10-6 and a 1st round miracle victory versus the Vikings was still a solid year and has the Seahawks hoping to return to the Big Game again in 2016. After a rough start in 2015 due to injuries, hold outs and chemistry issues, the Seahawks bounced back from 2-4 to finish 10-6 and gain a wildcard spot in the NFC. Under the steady hand of Pete Carroll and the newly married Russell Wilson, the Seahawks will look for more answers this season for an offense with even more question marks. One place not is question is the starting QB spot. Russell Wilson showed that he was more than just a bus driver in 2015, leading the league with a 110.1 QB Rating. Becoming the focal point of the offense, Wilson will need to stay just as excellent and as healthy for the Hawks to be contenders in 2016. Behind Wilson is undrafted rookie Trevone Boykin out of TCU and untested 2nd year player Jake Heaps. Hardly an insurance policy against injury. Thomas Rawls emerged last season as the heir apparent to the now retired Marshawn Lynch until a broken leg ended his season in 2015. Rawls starts camp on the PUP list but looks to be back by opening day. Behind him the Seahawks had some success with former castoff Christine Michael, who has seemed to finally matured into his potential. In addition, the Seahawks drafted 3 RBs, CJ Prosise out of Notre Dame, Alex Collins of Arkanasa and Zac Brooks of Clemson. Prosise, a converted WR, will likely nail down the 3rd down back roll and Collins will be the change of pace back if he can stay healthy. Golden Tate left prior to the 2015 season making Doug Baldwin the #1 option at WR. In addition, Jermaine Kearse, Paul Richardson and the speedy Tyler Lockett formed a very solid foursome. Lockett will likely be a breakout star in 2016 building on his rookie season. At tight end, Jimmy Graham was lost in Week 12 last year to a torn patellar tendon and may start 2016 on the PUP list. That injury is very tough to recover from and may make Graham, who already struggled to fit into Bevell’s system previously, mostly a non-factor this season. In his stead, the Seahawks drafted Ohio St TE Nick Vannett to pair with Luke Wilson. Vannett is a solid blocker with the athletic potential to be a better weapon than he showed in college. Perhaps no bigger question faces the 2016 Seahawks than the offensive line. Gone was stalwart LT Russell Okung via free agency. In his place, the versatile Garry Gilliam has switched from right to left tackle. On the other side is a competition between free agents J’Marcus Webb, Bradley Sowell and rookies Germain Ifedi and George Fant. This is hardly a group that inspires confidence though that could be said of last year’s 3rd best run unit too. At guard, Mark Glowinski should start on the left side, with the right side likely being one of the losers for the RT spot (Ifedi or Webb) or rookie 3rd round pick Rees Odhiambo (UPDATE: The Hawks signed Jahri Evans on Aug 6th at RG). The center will be former guard Justin Britt, one of the bright spots on the line last year. How this group gels in training camp and in the early part of the year is key to their success this season. Overall, Darrell Bevell’s system has proven it can overcome a lot of challenges and still be a Top 5 offense, thanks to the playmaking of Russell Wilson. If Rawls can come back healthy and the OL can be decent, the Seahawks should have a playoff quality offense again in 2016. The Seahawks finished with the 2nd ranked defense in 2015 and 1st in points allowed. With the return of Kam Chancellor after a holdout early in 2015, the Seahawks continued their dominate ways with the Legion of Boom secondary and a dynamic pass rush. The 2016 team has a few holes to fill but should still be a very dominate unit. On the D-line, the Seahawks lost run stuffer Brandon Mebane to San Diego but replaced him with 2nd round pick Jarran Reed out of Alabama and FA Sealver SIliga from New England. With incumbent DTs Jordan Hill and Ahtyba Rubin the Seattle run defense is stout. On the edge, the controversial Michael Bennett mans the left side. On the right side is Cliff Avril with Frank Clark also pushing for time. The D-line should remain as solid as ever given health in 2016. The Linebacking spot took a hit with the loss of pass-rushing specialist Bruce Irvin to Oakland. KJ Wright and Bobby Wagner still make 2/3 of a very solid core but the third spot is in flux. Kevin Pierre-Louis and Michael Morgan will compete for the spot on run downs, but look for DE Frank Clark and CB/S Brandon Browner to both get time there on passing/nickel packages. If DC Kris Richard can be creative, this could be another added wrinkle for opposing OCs to worry about. The secondary is the strength of the Seahawk D. Richard Sherman, Tharold Simon and Jeremy Lane make up a very solid tandem at CB if they can all stay healthy. At safety, Earl Thomas and Kam Chancellor are still the best safety group in the league. The depth behind them, however, is suspect so they too will need to stay healthy. Overall, the Seahawks should expect to be a top 5 defense in the league provided their veterans can stay healthy and they can consistently generate enough pressure on the QB. But to go from excellent to elite, they will also need to generate more turnovers than in 2015 (T-18th). With a lot of injury questions and a pretty brutal division, the Seahawks should still duplicate last year’s win total and make the playoffs as a wildcard. This team could be one in which it is better to face them earlier in the season than later as they gel and find answers at various positions. And, of course, don’t forget that home field advantage.